ASIFA-Atlanta is proud to have worked with the Oakcliff Elementary 4th Graders to produce these wonderful Stop Motion Films. While working the students learned the fundamentals of animation, the language of film, creating scripts and complimentary storyboards. Students also used teamwork to fulfil the needs each of their films required to be created. The students worked together to produce unique and entertaining content to be shown at the school. If you are interested in having an ASIFA workshop please contact us ! Join us on Facebook: Here! Excited for the 14th International Animation Day? Check out a sneak peak of a few of the line ups we have this year! Animation from Australia, Thailand, Portugal, Japan, Austria, and more! Thank you to our sponsors Atlanta Film Society, Plaza Theatre, Kamera, and Kime Media. SAVE THE DATE! 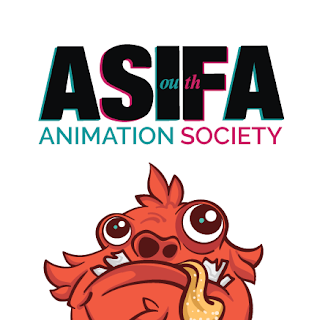 Join ASIFA-Atlanta for the 14th Annual International Animation Day. Catch curated animation from different ASIFA-chapters around the world including Australia, Austria, and Japan! Check out our facebook to RSVP for headcount! Our showcase this year is focused on diversity, disability inclusion, and going back to the roots of ASIFA: promoting peace through animation. ASIFA Atlanta will be attending Maker Faire 2015, hosting a hands-on animation workshop. This is great chance to learn the animation basics and meet with local Atlanta animators. Great for kids!